When we left the house, we intended to go somewhere else. Even though this was our third choice, it will be our first choice next time. It's hard to believe how spacious the room was and how spacious and great the bathroom was. Any time I get to park right in front of the restaurant and not have to pass across a tragic lane and have a spacious bathroom door with a lock on it.... well.... it just doesn't get any better. 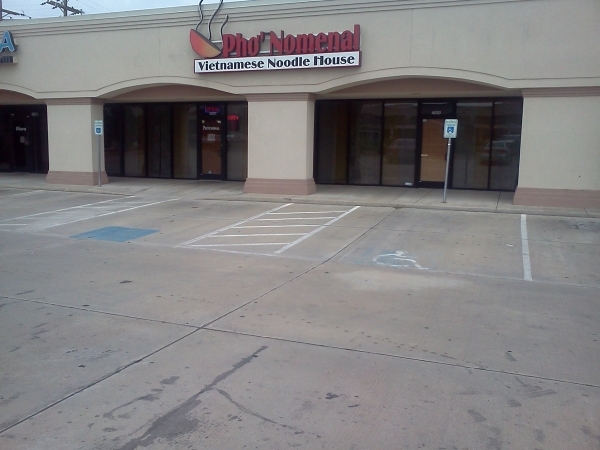 So go pho and don't worry about the accessibility.